MEET THE LUCKY COUPLE WHO WON A FREE WEDDING FROM WED EXPO! Remember when Bobo and I won My Big Nigerian Wedding in 2014? Check it out HERE. 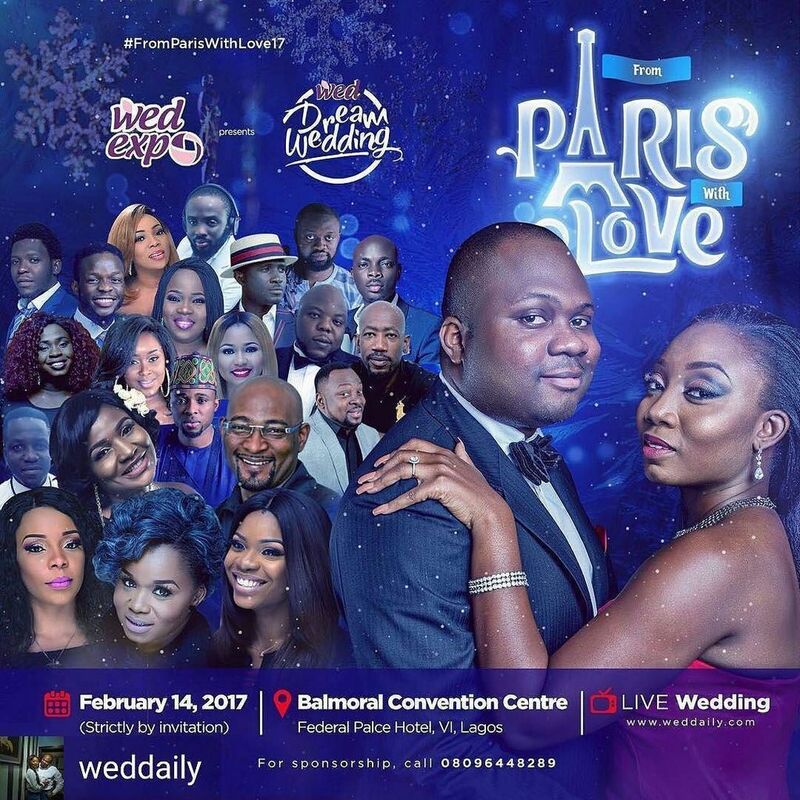 Toyosi Ilupeju & Wole Makinwa are the latest lucky winners of a FREE wedding from WED Expo. This cute couple will be walking down the aisle on a very special day - Valentine's Day. Their wedding promises to be packed full of love, excitement, colour and fun as only the best wedding vendors making up the DREAM TEAM have come together to make this couple’s dream a reality. 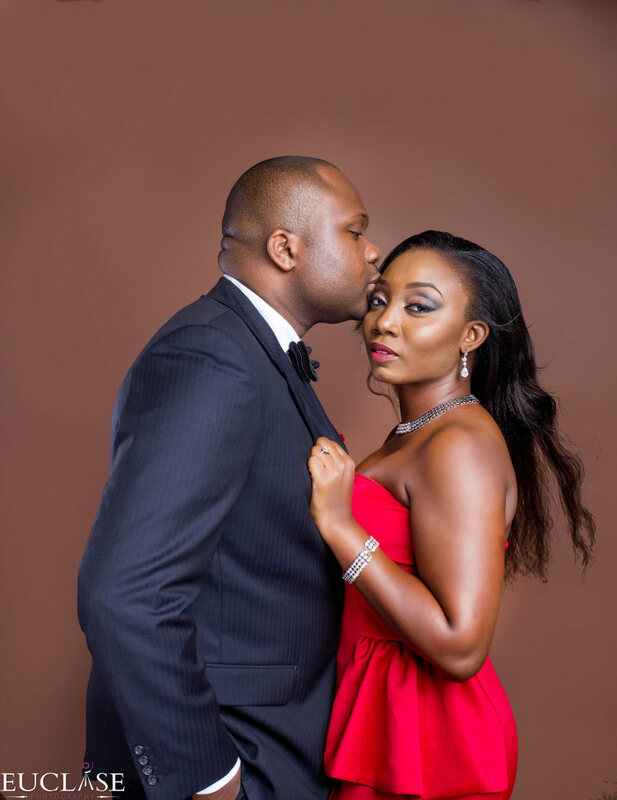 Some of the best wedding vendors in Nigeria have come together to give this couple their dream wedding at no cost. 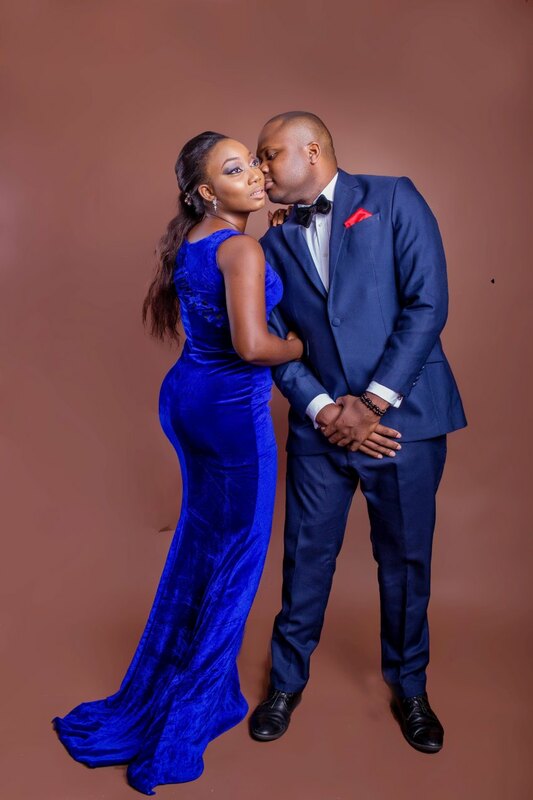 With makeup from Banke Meshida-Lawal, Cake from Tosan Jemide of Cakes by Tosan and Decor from Nwandos Signature among others, we are sure this wedding will be glamorous and exciting. 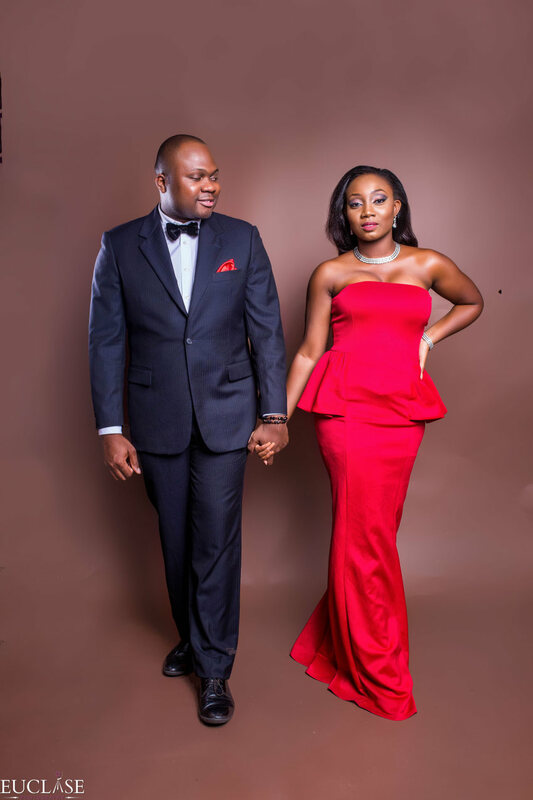 As we countdown to their wedding which will take place today, here are some lovely pre-wedding photos of the lucky couple. Toyosi and Wole met in Dubai. At the time, she had recently finished her studies and was about relocating back to Nigeria. She was hosting a weekly youth fellowship at her apartment and it was Anthony’s first time attending. 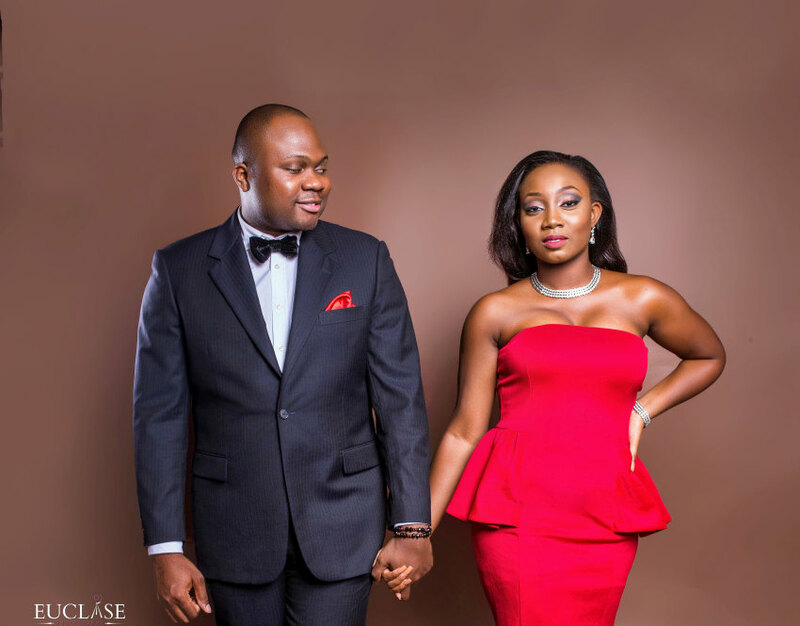 Toyosi had been expecting Anthony to propose on a particular date but when he got to know that she was expecting it, he changed the date in order to surprise her. 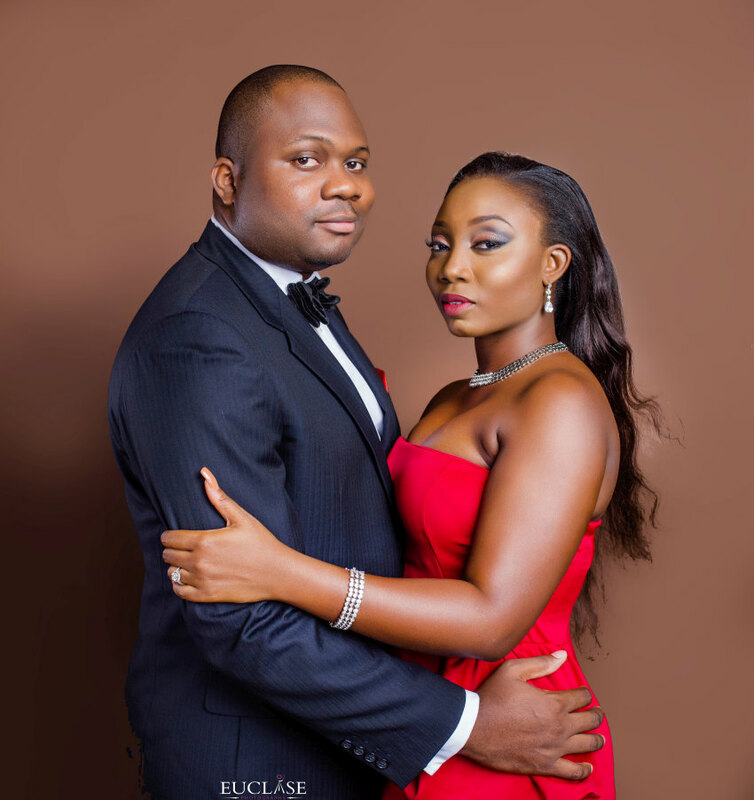 “Wole proposed on Wednesday the 11th of May, 2016. I expected him to propose the week before because he had planned a wonderful date so I was ready and looked extremely gorgeous but apparently he and my sister wanted me to be surprised so they pushed it forward. On that fateful Wednesday, I was working from home so I was dressed very down. I had to work at church during the evening service that day and as I was about to leave home, my mom told me to change that I looked horrible. I immediately started arguing with her on why I didn’t need to change and after a while she left me. I won the argument (so I thought). That evening, my pastor walks into church and we were both seated near the front but not beside each other and my pastor says “Wole I sent you a text message”. I remember clearly thinking; Na wa o, when did Wole and my pastor become texting buddies when I’ve even known my pastor longer. So, I started trying to do amebo to find out what the text message said but Wole wouldn’t even give me face. Anyways when my pastor was done preaching , He called Wole out saying he had a testimony and that the church should listen. In my mind at this time I was thinking; what testimony, what has happened that this guy didn’t tell me first (I was already planning my trouble for him). Next thing I know Wole calls me to step out to his side. At this point I just wanted to disappear. I was looking so raggedy; no makeup, hair was a mess, nails were horrific, and my outfit was nothing to write home about. Anyways I get up and kept looking around trying to find my mom to give her the look of “betrayal”. I stood in front of Wole, our sides were facing the church and I was just hoping this was a dream. Next thing Wole gets down on one knee and asks me to marry him. I was utterly speechless and just nodded and pulled him to get back up as fast as I could while the whole church was cheering. The only emotion I was feeling throughout the proposal was shock and I wanted to escape but there was nowhere to run to. Anyways thank God I nodded yes and didn’t faint.